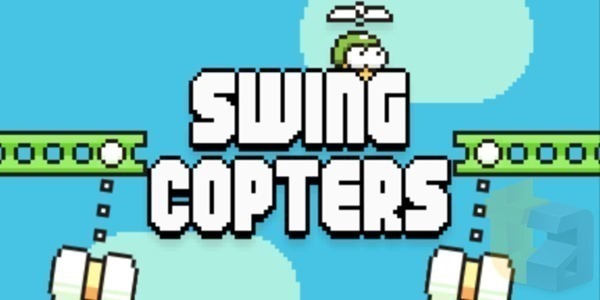 Dong Nguyen, of Flappy Bird fame, returned to prominence last week with the release of Swing Copters, and having infuriated mobile users far and wide the first time around, the follow-up is even more challenging on whole new level. So much so, in fact, that the lone developer has released a swift update of iOS and Android which, thankfully, makes it a bit less cumbersome to play. More details and download link can be found right after the jump. If you haven’t had the chance to play Swing Copters yet, then the first thing you’ll notice about it when playing is that it’s not too dissimilar to Flappy Bird. The graphics are essentially the same eighties throwback, and once again, it uses simple, but very unpredictable physics. 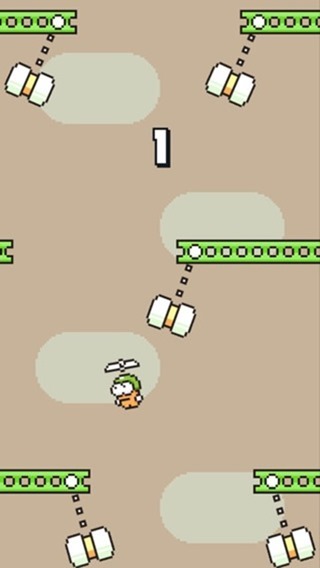 Having told the world that he took Flappy Bird down earlier this year because it was causing more stress than it was providing entertainment, it seemed a tad strange that the perceived sequel would be just as hard to play. But it is, or at least it was until today, and if you’ve been tempted to throw your device against the wall this weekend after a Swing Copters session, you may want to head over to the App Store or Google Play Store before you total your smartphone or tablet in utter rage. 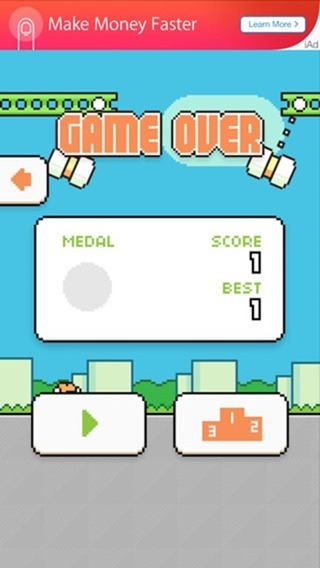 As for whether Swing Copters is as addictive as Flappy Bird, the jury’s very much out. But having downloaded it upon release, we’re all pretty hooked on it here at Redmond Pie, and it’s now my go-to time-killer over the wonderfully tricky 2048. So, if you missed the earlier report or have simply refrained from Swing Copters as a move to preserve your sanity, then the updated version is thankfully a bit easier to play. Make no mistake – it’s still incredibly difficult, and almost impossible to master – but if you like a reasonable challenge, be sure to check it out via the direct links we’ve provided below. At this point, it’s not available for Windows Phone, but should this change, we’ll be sure to let you guys know. Not even remotely as good. My previous high score, pre-update was 24; now, post-update, on my very first attempt I got a 72. Did I mention I just downloaded this game this morning?!?!? Revert back original please!